Karen Matsuda has served as a public health nurse, a school nurse, an educator, a federal regional nurse trainer and Director of the Washington State Family Planning Program. She spent 23 years with the U.S. Public Health Service’s Federal Region X, where she progressed to the highest levels of responsibility and decision-making in the administration. Throughout her career, Matsuda has been dedicated to improving population health and pushing for advanced practice nurse training, both of which have made a tremendous impact on Washington state, as well as Alaska, Idaho, Oregon and the nation. Matsuda’s contributions and excellence across all areas of patient care, leadership, education, public service, nurse advocacy, heroism, patient advocacy and clinical practice have made a lasting impact on patients and the profession of nursing. Matusda earned her Bachelor of Science in Nursing from Seattle Pacific University in 1968 and her Master of Nursing Administration from the University of Washington 10 years later. She completed Women's Health Care Nurse Practitioner training from the Harbor/UCLA School of Medicine in 1973. Matsuda began her nursing career as a public health and visiting nurse with the Seattle-King County Department of Public Health, where she provided home visits and worked in the Maternal and Infant Care, Children and Youth and Family Planning clinics. She went on to work as a school nurse, a Nurse Educator/Nurse Practitioner with Planned Parenthood of Seattle-King County and as a Health Services administrator for Title X family planning programs in the Washington State Department of Social and Health Services. She was a consultant and trainer for women’s health and family programs for a decade before joining the U.S. Public Health Service, Region X, where she worked in progressively responsible positions for the next 23 years. 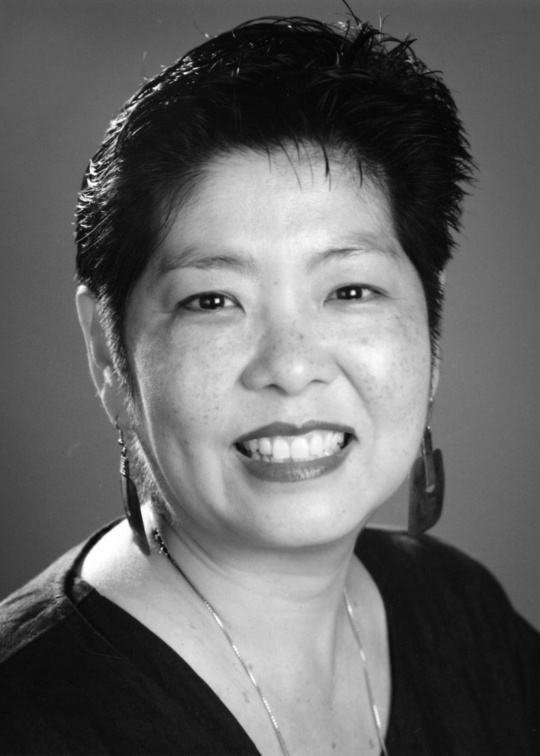 Advocacy for high quality patient care, especially for communities of color and families of lower income has been a prominent theme of Matsuda’s entire nursing practice career. Her work included special initiatives related to women’s health, minority health, family planning and reproductive health, HIV/AIDS, viral hepatitis prevention, children and adult immunizations and tobacco control. As a senior-level health official for Federal Region X, Matsuda had a major influence on patient care throughout Washington state, as well in the other Region X states of Alaska, Idaho and Oregon. She was one of the first to promote Patient Flow Analysis to reduce patient wait times, firmly believing that providing high quality, yet efficient care was beneficial to the many clients who relied on public clinics because of lower socioeconomic status. A new idea at the time, it has now been widely incorporated in the Northwest. authored the first infertility guidelines for clinic protocols at SKCDPH and designed the first portable birth control kit for public health nurses to use during patient home visits. Matsuda’s exceptional ability to recognize health trends, conceptualize policies and adapt them to state-level priorities, along with her poise and articulate style, were recognized in her promotion to the highest level of management in the U.S. Public Health Service’s Region X. She was the first nurse ever to be named its Deputy Regional Health Administrator. For three years she served as Acting Regional Health Administrator, which made her the most senior ranking federal public health official for the states of Washington, Alaska, Idaho and Oregon. Matsuda worked throughout her career to advance educational and career opportunities for nurses and professionals of color. She established a fellowship in the Region X office that led to new, expanded education and prevention for the Tobacco Free Campus Initiative at higher learning institutions nationwide. She also helped establish an HIV-AIDS program consultant position in Federal Region X that advanced the careers of many professionals of color. Matsuda served as a Clinical Instructor with the University of Washington School of Nursing’s Department of Family and Child Nursing for over 13 years, working with both master’s and postdoctoral students. She had special interest in mentoring students from underrepresented populations and guiding them through career development even after they completed their academic program. Among her many honors and awards, Matsuda has received the Distinguished Alumnus award from the University of Washington School of Nursing, selection into the Seattle Pacific University Alumni Hall of Fame Honor Roll and honors from numerous community organization for her advocacy for nurses and modeling excellence. Matsuda has been a strong advocate for nurses over her entire professional career. She has had a lifetime of extraordinary performance in roles serving local, state and federal levels, representing the nursing profession with distinction. WSNA provides representation, education and resources that allow nurses to reach their full professional potential and focus on caring for patients. WSNA has represented nurses in our state since 1908, leveraging our collective voice to successfully advocate with employers, state agencies and the state Legislature for better working conditions, safe staffing, fair compensation and patient safety. For more than 100 years, WSNA has championed issues that support nurses, advance professional standards and improve the health of individuals and families in Washington. Are you a member? Join today! The Washington State Nurses Association is accredited as a provider of continuing nursing education by the American Nurses Credentialing Center's Commission on Accreditation.